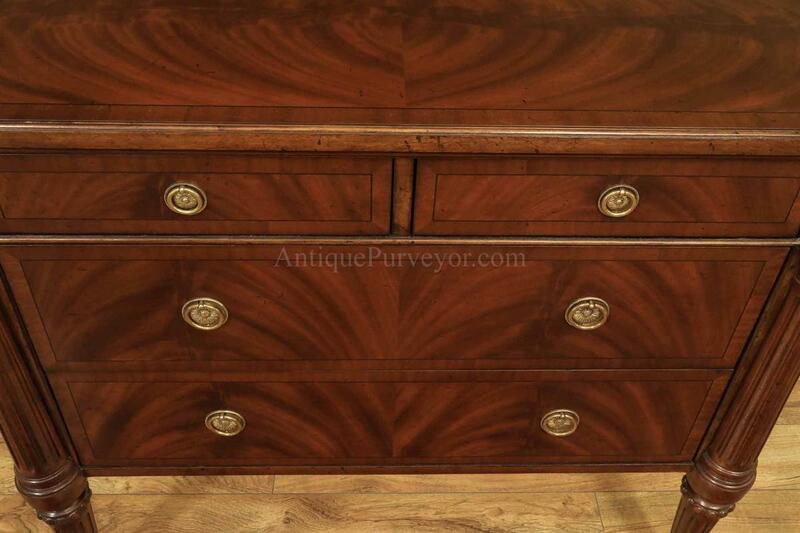 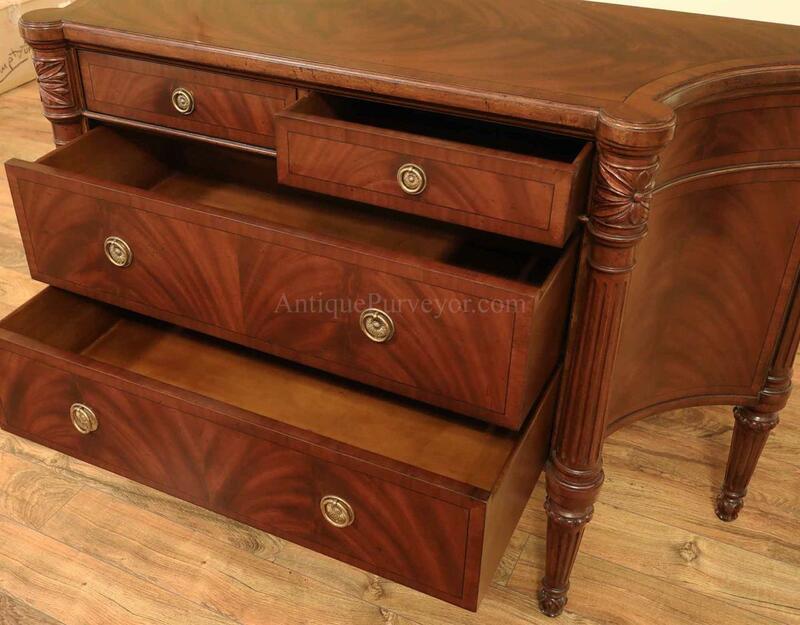 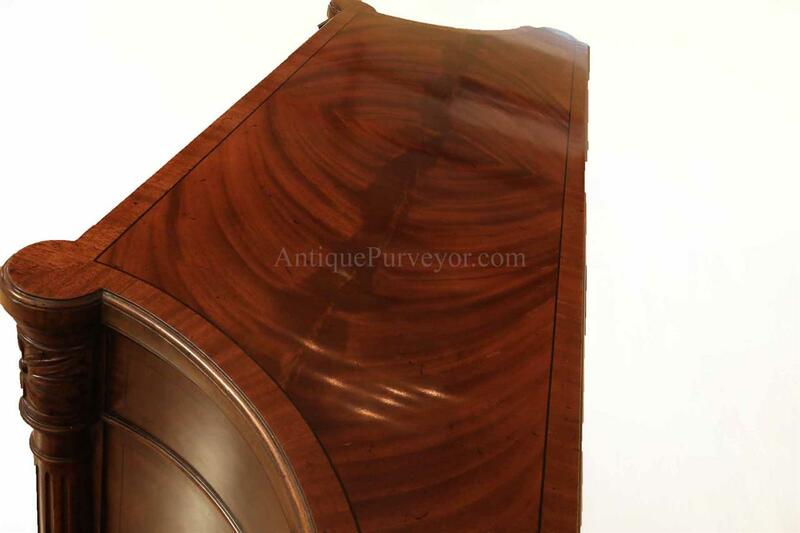 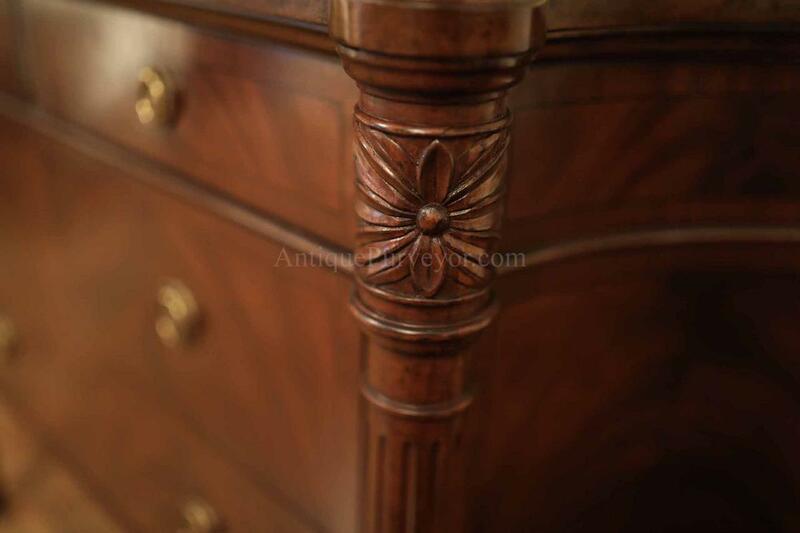 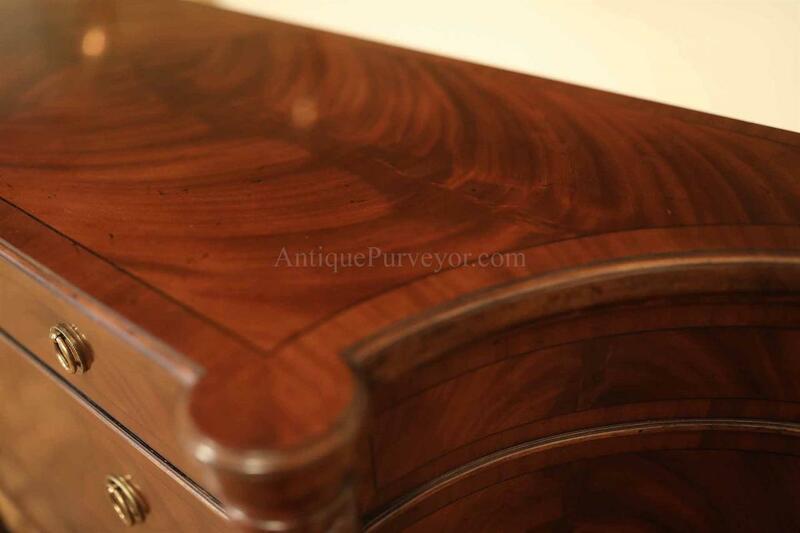 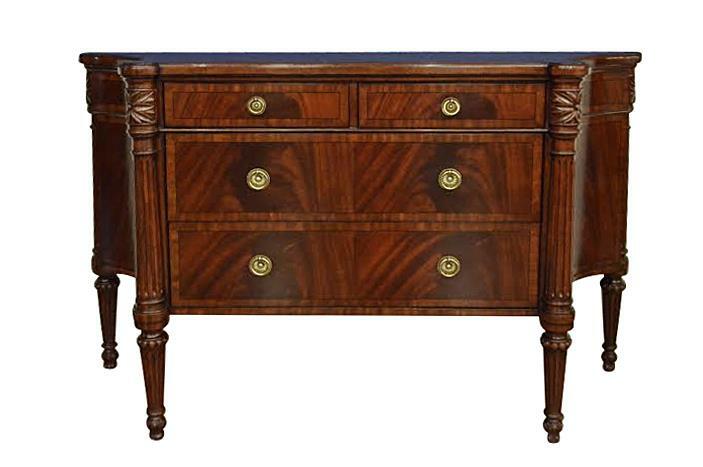 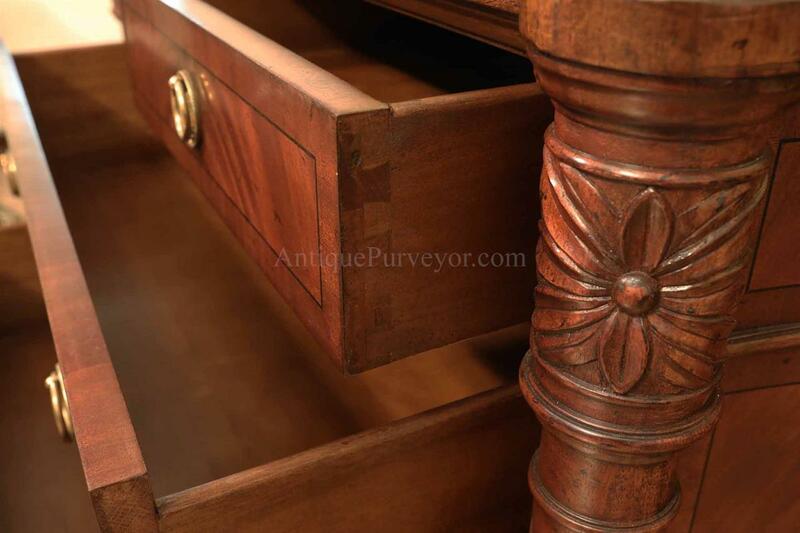 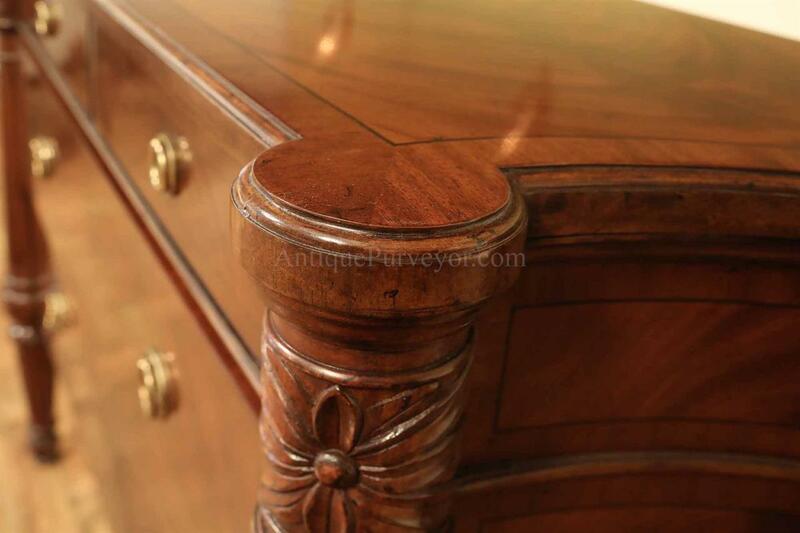 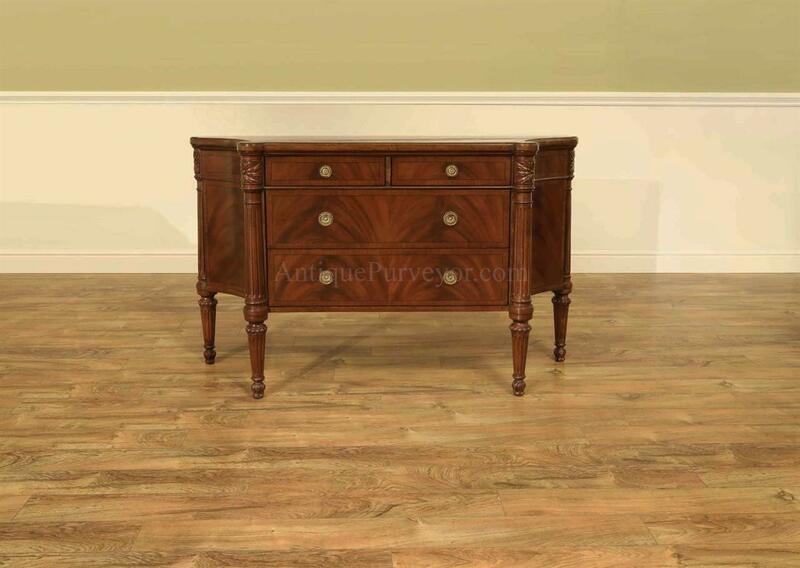 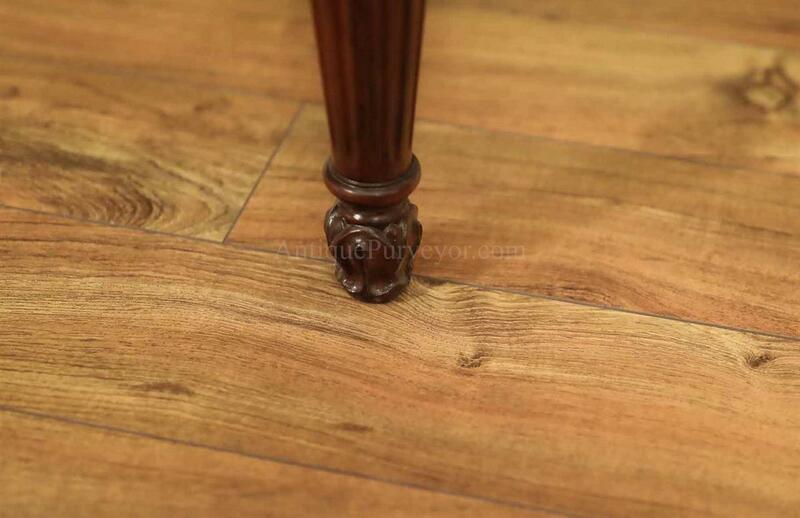 Description: This is a mahogany sideboard or some might call it a serpentine commode. 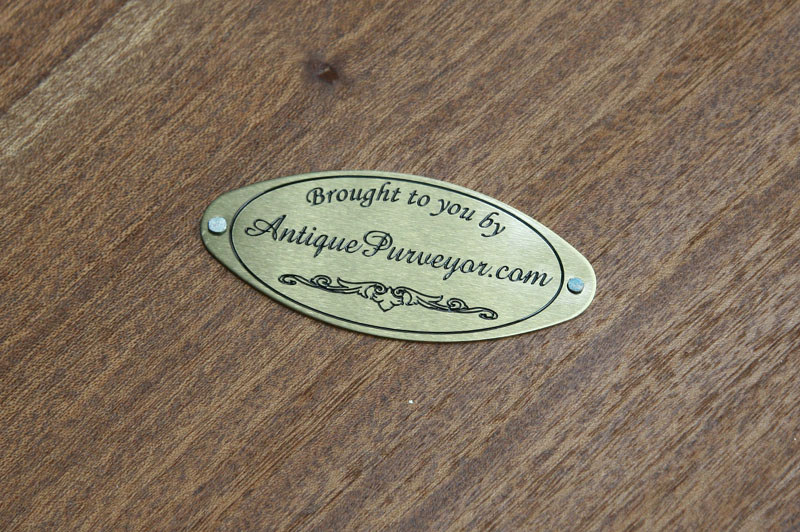 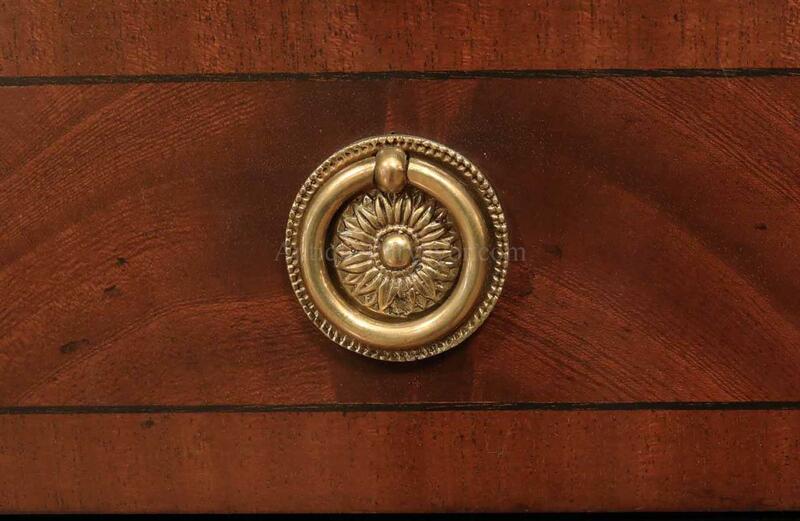 It has fluted legs with solid brass hardware. 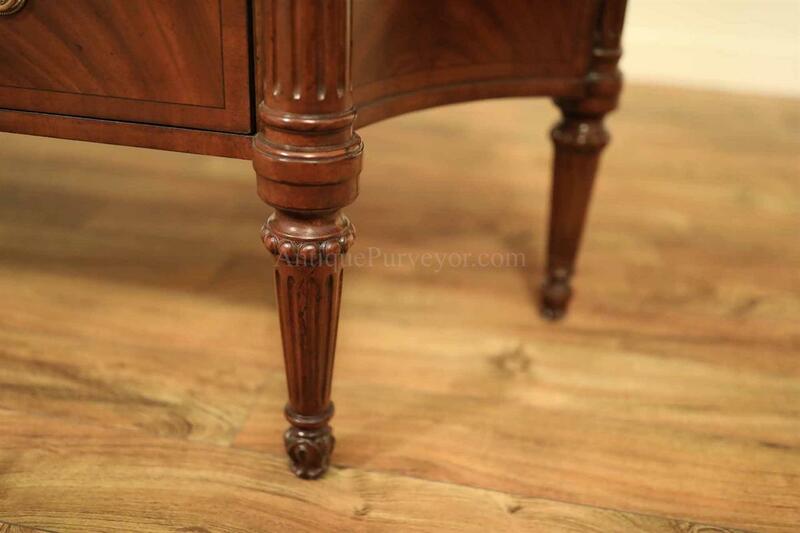 It is very fine furniture and can work in a number of setting like a dining room or against a foyer wall. 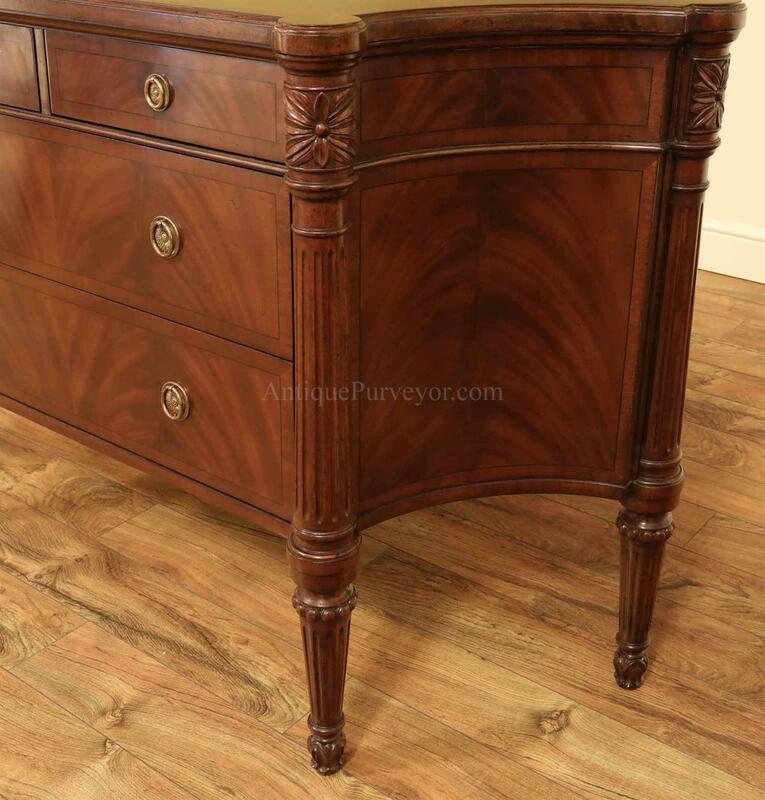 The dovetailed oak drawers show what a well built and high end piece of furniture it really is.